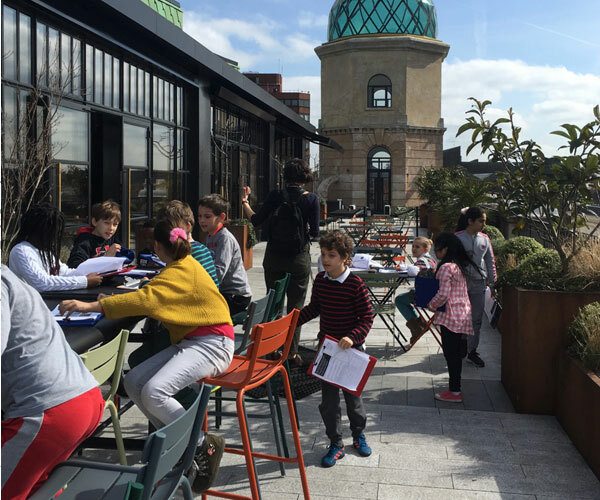 Following a fascinating building exploration at Squire and Partner’s sumptuous new offices in the Department Store in Brixton, the children developed their architectural skills through drawing and model making exercises before embarking on designing their own scheme. 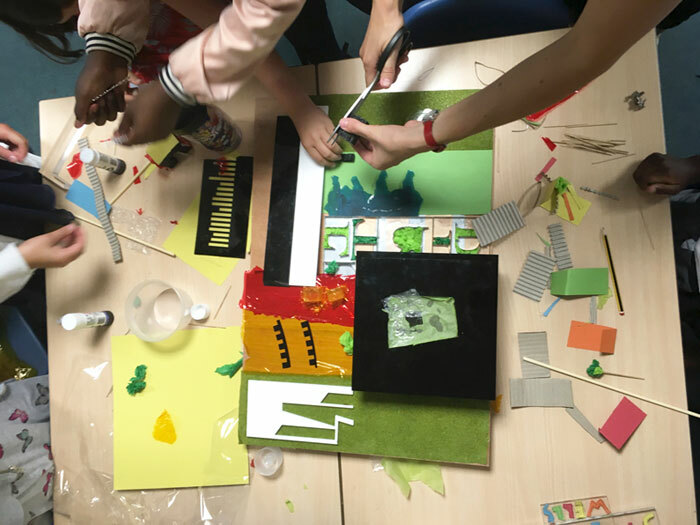 The theme this year is ‘shared city’ and the children have decided to use the project to explore how they might improve their own local neighbourhood. 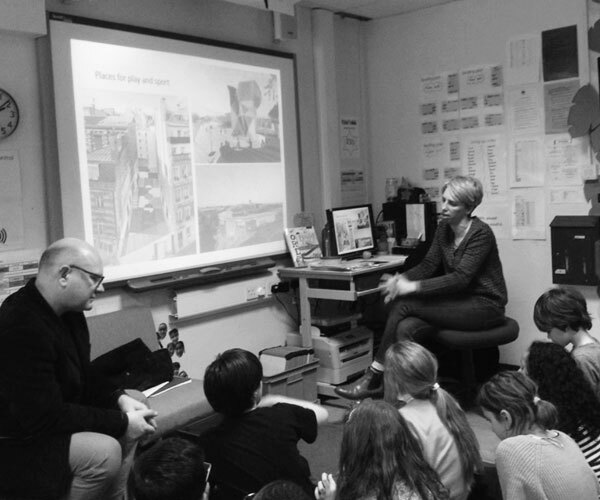 They have inspired us with a fantastic design based around the idea of greening the street their school is on to make it safer, healthier and more enjoyable to use. This has involved sinking motor vehicle traffic underground and creating a new linear park along the road with paths and cycle routes. They have also removed the imposing separating fence from the adjoining nature garden so that it spills across the road. 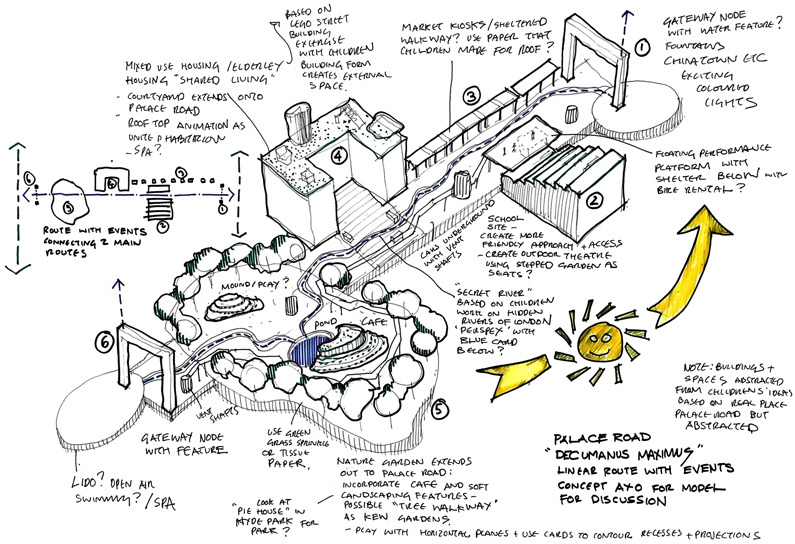 They have had so many brilliant ideas, including a triumphal arch gateway welcoming visitors into their neighbourhood, a farm on the roof of their school, sculptural bike stores, community graffiti walls, vertical aquariums, social housing with a glass bottomed lido on the roof to name just a few. 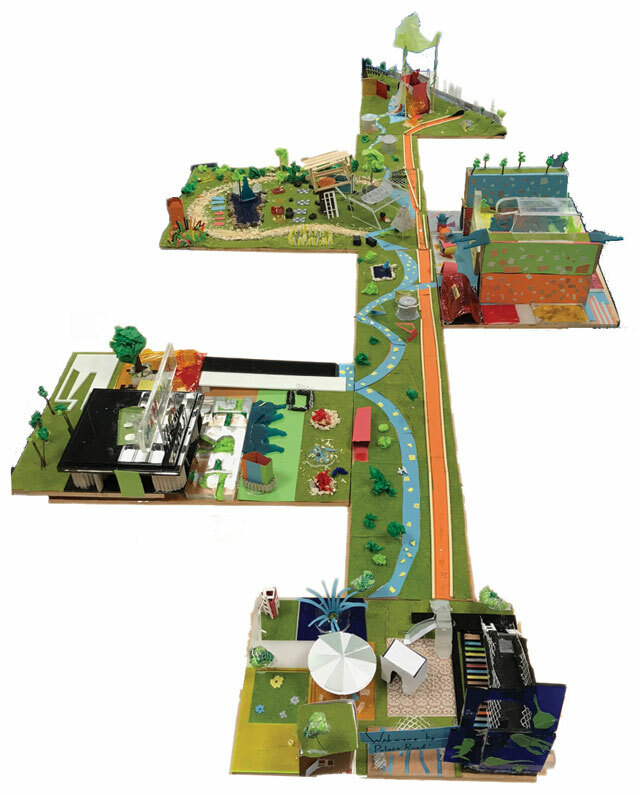 Materials used to create the model include recycled paper the children made at Wandsworth Recycling Facility and fabulously shaped offcuts of coloured acrylic donated by Squire’s model making workshop.